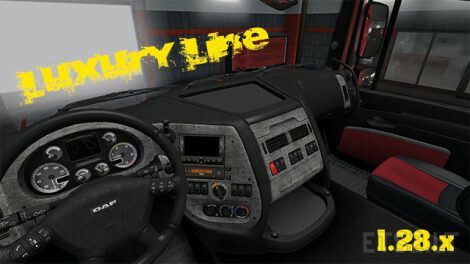 This mod changes the luxury DAF XF 105 interieur to a black and red combination. I also used grey wood instead of the brown one. It looks very nice to me. I hope you like it too. Feel free to rate. Tested with version 1.28.x. Should run with previous versions too.